/ Radio won’t turn off when engine off and keys out. Radio won’t turn off when engine off and keys out. all lubed and working properly. Improper head unit wiring ​​If the main power wire for the head unit is connected to a power source that is always hot, the radio won't ever turn off. Fix: rewire the radio to receive power from a source that is only hot when the ignition is in the accessory or run position. Ignition switch problem ​​If there is a problem with the ignition switch or cylinder, accessory power may be available even when the key is removed. Fix: check to see if accessory power is available when the key is in the off position. Realign the cylinder or replace the ignition switch as needed. Worn out key or ignition cylinder ​If your key or ignition cylinder are especially worn, you may be able to remove the key when the switch is still in the accessory or on position. Fix: make sure that the ignition switch is actually in the off position in the short term, and replace the cylinder when you can. Radio designed to stay on for a set amount of time Some car radios are on a timer, so they are designed to not shut off immediately. Fix: check if the radio has turned off a few minutes after the doors have been shut and locked. If it still hasn't turned off, check if the dome lights turn off when the doors are shut. This type of problem may require help from a professional. Does the dome light come on when you open the door? My 99 Silverado does the same thing, and it is because it is not sensing that the drivers door has been opened. (which should shut off the radio) In my case I just walk around and open the passenger door and that shuts off the radio. The 20 min. timer is to prevent the battery from being drained if the radio, interior lights or whatever is left on. That's actually a feature! that was normal for my truck. so you could sit and listen to music after truck off, but if you opened the door it would go off. Also, goes off after a certain time period. My 05 Silverado just started doing this after I changed the battery. Stays on constantly and I have no sound. Cooling fans won’t shut off. Running constantly at full power. Start a new Chevrolet Silverado 1500 question. 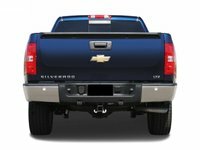 CarGurus has 175,576 nationwide Silverado 1500 listings starting at $2,195.